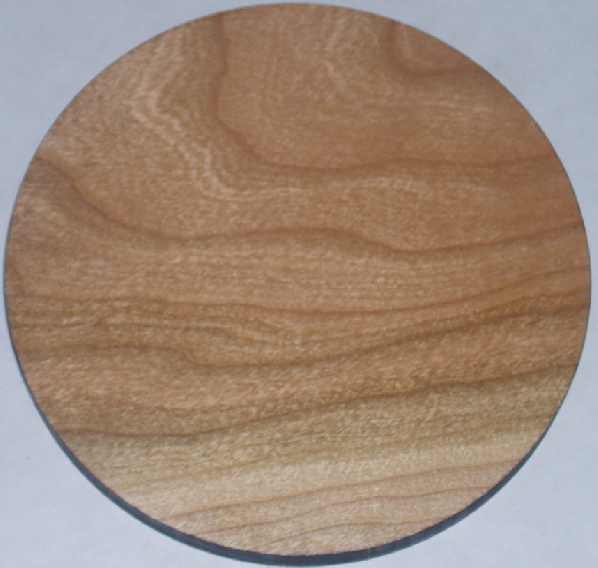 Each wood coaster can be cut in round, square, or other unique shapes. You can engrave them yourselves or subcontract bigger jobs with us. Pricing is based on coasters approximately 3.5" to 4" in diameter. Event coasters are usually the thinner version. They come with a single coat of lacquer. Heirloom coasters are are 5/16" thick usually. They come with a single coat of lacquer also. If you engrave them, you may want to finish them with additional coats of clear lacquer or polyurethane. Put on one coat. Sand Lightly and put on a 2nd or 3rd coat. Home Depot sells Deft Clear Wood finish in a spray can. It works well. Call if you would like to visit with us regarding the processes we use.